OTTAWA, October 2, 2018 – C-COM Satellite Systems Inc. (TSXV: CMI), the world’s leading provider of commercial grade auto-acquire mobile satellite antenna systems, announced today that it has received orders for approximately US$1.28 million for its iNetVu® antenna systems from various customers across Africa. The systems have been purchased by several reseller partners and will be deployed by governments, militaries and commercial customers in the banking and broadcast sectors. 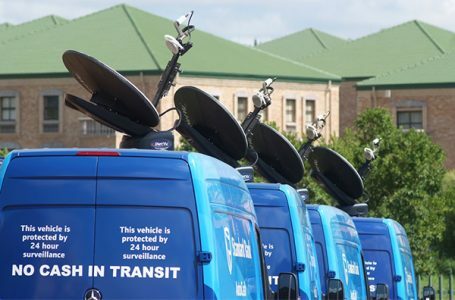 “While C-COM has been active in Africa for a number of years, the mobile VSAT market has been slow to develop for economic reasons,” commented Drew Klein, Director of Business Development for C-COM. 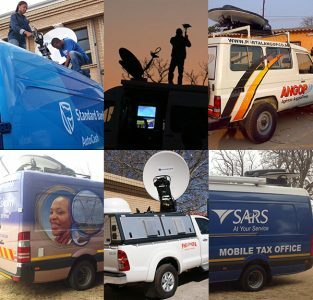 “These significant orders, from both new and existing C-COM’s Africa-based integrators, are an indication that market conditions in the region may be improving, and that highly reliable and cost-effective auto-acquire antennas like C-COM’s family of iNetVu® products are of high value,” Klein continued. C-COM expects to deliver these orders over the next few months. The Company offers classic and next generation Driveaway, Flyaway, Fixed Motorized, and Backpack systems for any vertical market where satellite communications are needed, including when terrestrial networks are disrupted due to natural or other disasters. C-COM has more than 20 different Comm-on-the-Pause antenna models integrated with all major VSAT modem manufacturers and approved with most major satellite operators, and is working closely with more than 500 active dealers in over 100 countries. More than 8,000 iNetVu® systems have been sold since the brand’s inception. Working with a renowned research team at the University of Waterloo, the Company is also developing an electronically steerable, Ka-band flat panel antenna system based on phased array technology with the potential to revolutionize satellite’s addressable market in all mobility markets: land, airborne and maritime.